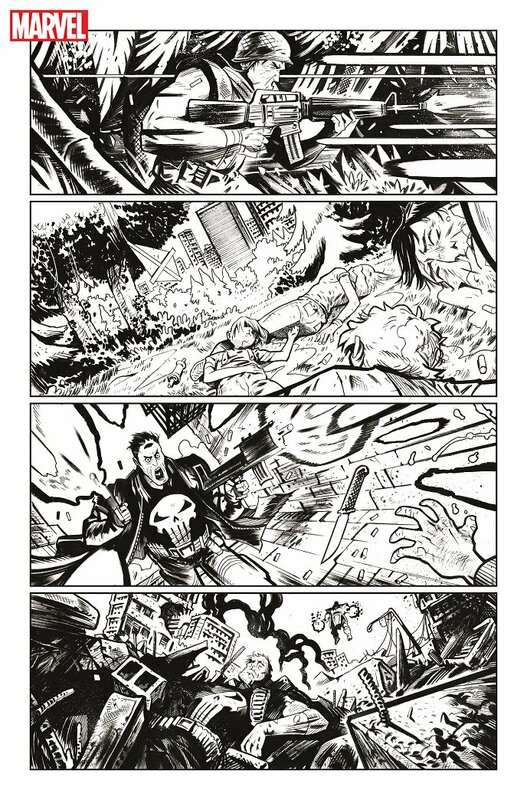 If you’ve been following what Marvel’s been up to for the past year or so, then you know how much fun they’ve been having with the Punisher. 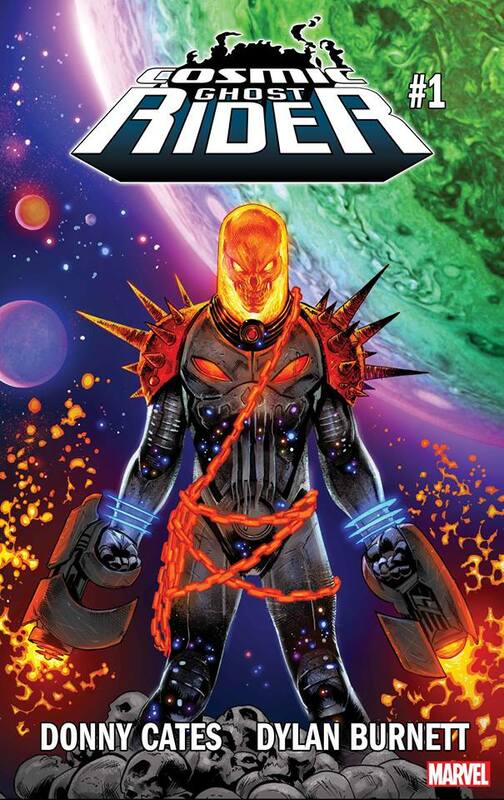 Not only has he turned a lot of heads by donning the War Machine armor in his own ongoing series, but he’s also been revealed to be the Cosmic Ghost Rider in the wildly popular “King Thanos” story arc. Well, it looks like the idea went over so well with True Believers that the House of Ideas have awarded this alternate take on Frank Castle with his own series! Set to launch this summer, the book will be handled by the creative team of writer Donny Cates (Thanos, Doctor Strange) and artist Dylan Burnett, with covers provided by none other than Geoff Shaw. 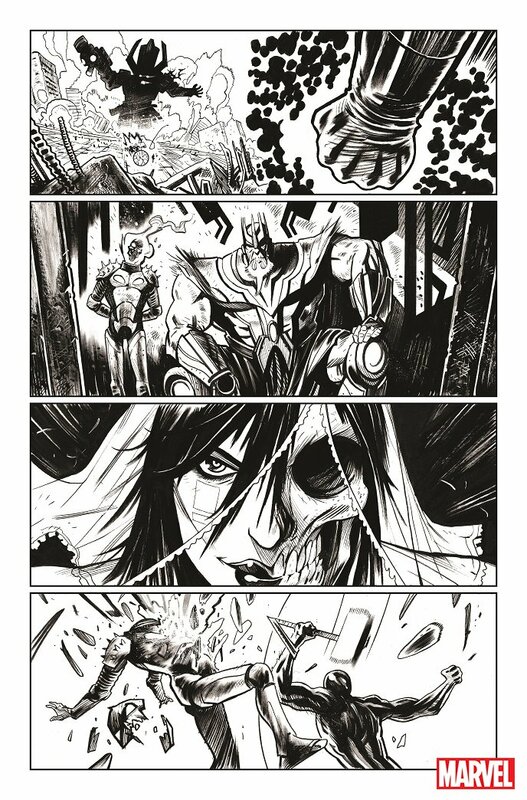 In fact, Marvel has been kind enough to lend us a first look inside the debut issue. So, if you’d like to see Shaw’s first cover and some of Burnett’s uncolored interiors, well, then we suggest you visit the gallery below. Still, it’s important to note that this takes place in a possible future, but that shouldn’t detract from your reading experience. After all, the purpose of any sort of entertainment is to have fun – and fun is exactly what this book appears to have boatloads of. 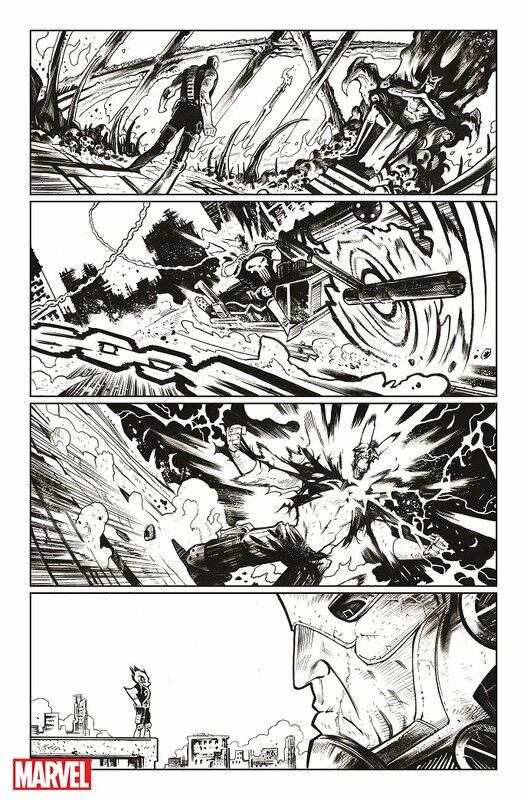 Cosmic Ghost Rider #1 arrives in comic shops on July 4.